Happy December my angels! 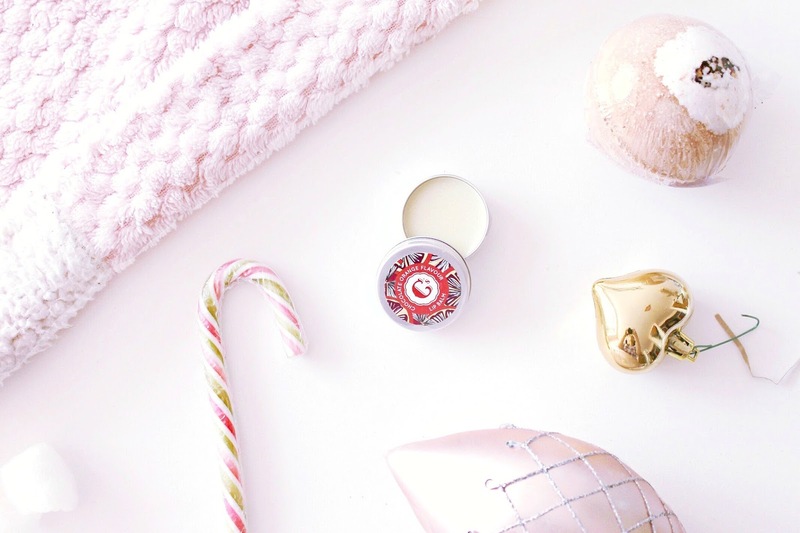 I am so excited for all the little things that December brings, for Blogmas, sending out first Romantic Gal Society newsletter, going to see Moana, writing cards and wrapping gifts. 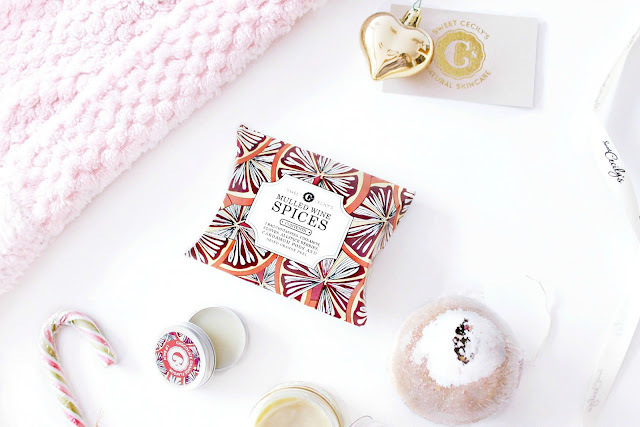 A lil something to ease you in to the festive season, or to treat a loved one, is the Sweet Cecily's Secret Santa parcel, containing an assortment of magical winter treats to last you through the cold months. 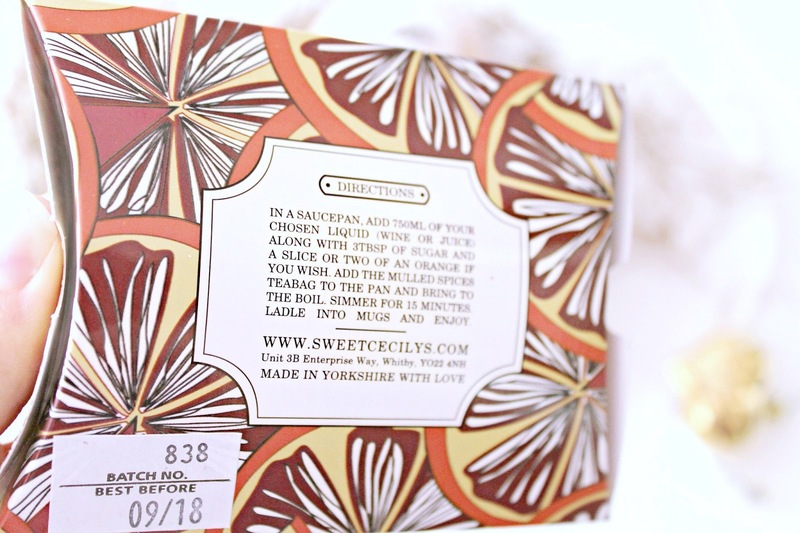 Sweet Cecily's are a sweet skincare company based just across from us, in Yorkshire, with an incredible range of lip balms and skincare kits, in amazing, out of the box flavours mmm! All of their products are free from parabens, petrochemicals and harmful preservatives, just simple and lovely ingredients. The parcel was adorable and so much love had gone in to wrapping it. It looked straight out of a Christmas movie or from the North Pole: I love the little touches, the silk white ribbon and candy cane! 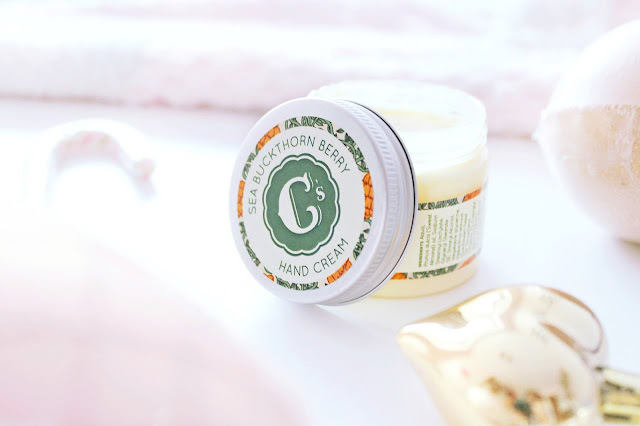 This is the Sea Buckthorn Berry hand cream and it smells so festive, just like cloves, orange peel and pine. It's the spirit of Christmas, bottled! It sinks in quickly and leaves the hands delicately perfumed. I haven't experienced any eczema breakouts since using it on my hands and I just adore the scent. Next up is the limited edition Chocolate Orange Lip Balm and Christmas pudding bath bomb. The lip balm is incredible, like jaffa cakes, with a hint winter spices. I like to use it as a multipurpose balm for dry patches on my face, it's so nice! The Christmas pudding bath bomb is so cute, shaped like actual pudding. This Mulled Wine spices sachet may be my favourite item of all. Simply add to your favourite juice or alcoholic drink, sit back and enjoy your festive beverage! I had no idea these existed - I will be definitely stocking up to enjoy a toasty mocktail every winter morning. It will also make a perfect stocking filler! Wow. It’s really so nice and amazing wrapping by Sweet Cecily. 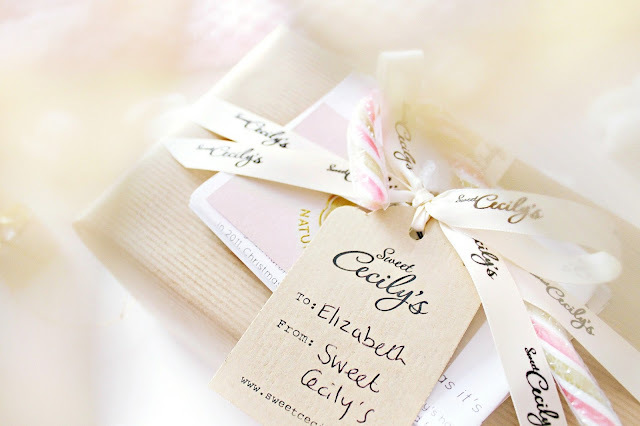 Thanks for sharing post about Sweet Cecily's Secret Santa Package Opening. Since I am an academic writer and assignment help Sydney service provider at Assignment help folks. And I would approximating to share it with my students and fellow teacher. I hope they would like it. Thanks for distribution such a fanciful blog. Gain your effort. Wow.. very nice Chocolate Orange Lip Balm and Christmas pudding bath bomb its useful for winter. You are doing fabulous work for everything. I am Essay writer - essaywriter.org.uk and providing writing services for UK students. I really appreciate your hand made work and that ideas. Thanks for sharing a beautiful idea with us. 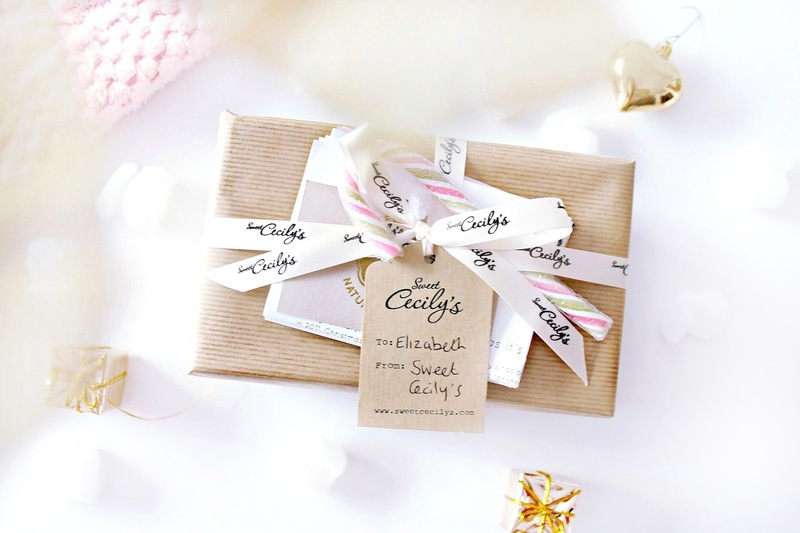 Hey Elizabeth, you are very lucky because of you got beautiful Cecily's Secret Santa parcel, I also want to that. Since I am essay help service provider and working with Elite assignment help in UK. And I would like Cecily's Secret Santa parcel idea for Christmas celebration. It’s really lovely and incredible wrapping by Sweet Cecily. Brand that actually puts effort into their packaging. I specially like the hand cream. Since I am essay writer - http://www.secureassignmenthelp.com/essay-writers/ and I would like to share such a great post with my students and teacher at Secure Assignment Help. 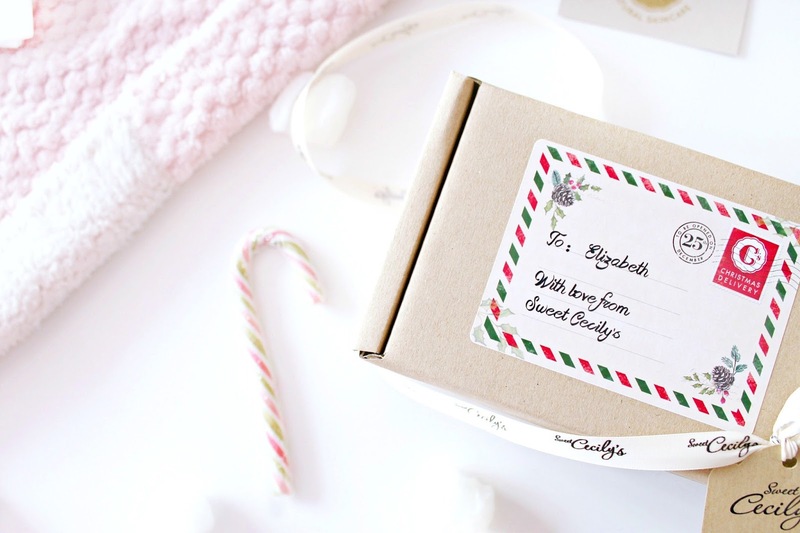 Thanks for sharing post about Sweet Cecily's Secret Santa Package Opening. Wow everything sounds so amazing! It's nice to read reviews of bath products other than Lush, especially of a brand that really puts effort into their packaging. Your photos make them look amazing too! I think my favourite has to be the hand cream. I'm so excited to see Moana! This looks like such a pretty package! My tree went up a few days before the 1st December haha, I'm "that" person.